Here are the Touchstone Award recipients for 2013. 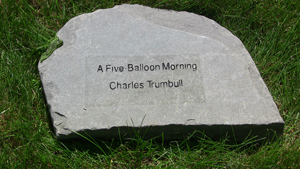 For more information about the Touchstone Awards Series, please see Touchstone Awards for Individual Poems and Touchstone Distinguished Book Awards. For other archives, see Touchstone Archive. Panelists: Dee Evetts, Paul Miller, Lenard D. Moore, George Swede, and Barbara Ungar. More than 500 poems were nominated. Award recipients are listed below in alphabetical order by author; they are not ranked according to merit. Comments from the panelists give some flavor of the deliberations that have taken place. “. . . implicit contrast between animals’ natural connection to one another and humanity’s irrational drawing of boundary lines, and the superior animals’ ignoring the silliness of humankind. cubist lesson . . .
purple clematis . . .
Father's Day . . .
when my embryo . . .
83 book-length works were submitted. Award Recipients and Honorable Mentions are listed in alphabetical order by title. Titles and authors are followed by publisher information. 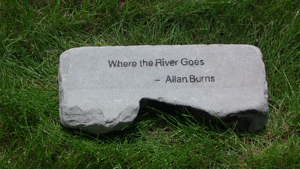 ns to each, should all go a long way toward the fulfillment of Burns’ intention for Where the River Goes.As he notes, it was Thoreau who said: “In wildness is the preservation of the world.” In selecting work whose authors turn their attention to the wild, and for whom the natural world, at least sometimes, is something more than a background for a self-portrait, Burns has offered a fresh and gently challenging look at the nature tradition in English language haiku. 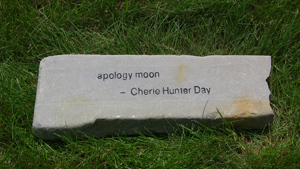 Perfect bound, with an attractive cover and sixty poems arranged one per page, apology moon is the second haiku collection by Cherie Hunter Day.Trained as a biologist, Day’s scientific background brings precision to her poetry. 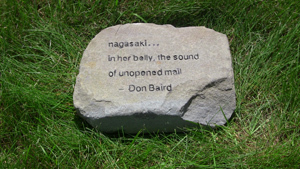 The majority of the haiku are nature-orientated, with her inner life often finding expression and correspondence in the phenomena of the natural world. While many outwardly conform to an orthodox format—three lines with a caesura at the end of the first or second line—it is the innovative and intriguing juxtapositions that set them apart from the merely formulaic. Others employ some of the disjunctive strategies articulated by Richard Gilbert. A subtle blend of tones and colors and a broad range of themes make this a very satisfying collection, a welcome addition to the shelves of any haiku enthusiast. Evolution is the key to vitality and longevity. 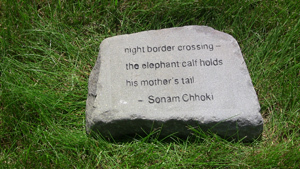 While we honor and celebrate tradition, we invite and welcome innovation in the genre of English-language haiku. 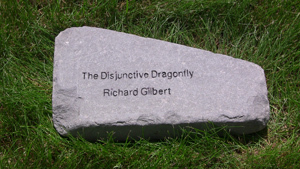 Since the first publication of his essay “The Disjunctive Dragonfly” (2004), Richard Gilbert has continued to analyze and update his study of disjunctive strategies/techniques in the art of English-language haiku composition. 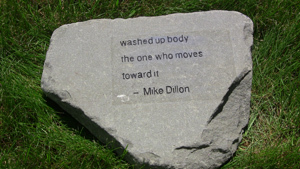 These strategies and techniques do not dismiss but, rather, expand the elements of traditional haiku practice, such as juxtaposition and kireji. The “new voices” in ELH are vibrant, at times challenging, but Gilbert demonstrates that haiku can reach beyond shasei and realism into a deeper realm of poetic power. 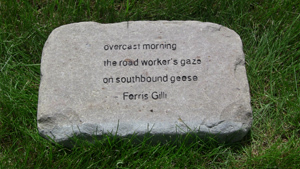 In this edition he discusses 7 new disjunctive types, in addition to his original 17, and offers a generous sampling of 275 poems by some of today’s finest practitioners who illustrate disjunctive techniques through a variety of topics, styles, and approaches. With this publication we recognize and celebrate the possibilities for the future of English-language haiku. 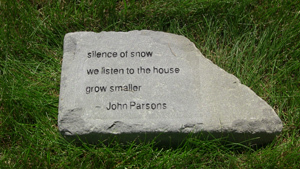 Haiku in English is a challenging yet energizing mix of haiku and poets spanning one hundred years of English-language haiku. This beautifully produced hardcover comes with an introduction by former U.S. Poet Laureate Billy Collins, an “Editors’ Foreword” that goes over some of the editorial decisions, the excellent essay “An Overview of Haiku in English” by Jim Kacian discussing the history and development of ELH that also includes brief bios of some of today’s finest practitioners, and an “Index of Poets and Credits.”Editors Jim Kacian, Philip Rowland and Allan Burns have assembled more than 600 haiku from 235 authors and arranged them chronologically by author rather than alphabetically to show the development of ELH through the haiku themselves. 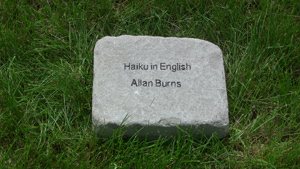 Rather than choose the very best of ELH, the editors chose those haiku that “emphasized each poet’s contribution to the genre, how much s/he brought to it that others could then adopt for their own work.” This decision has created quite a stir among haiku poets, who is and isn’t present, what poems are and aren’t present, and so has the inclusion of poets who are not known for haiku. However, the editors have created an anthology that shows just how rich, varied and complex the history of ELH is. 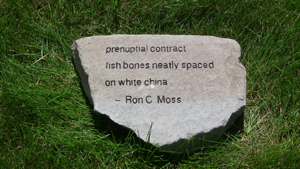 While Haiku in English answers some questions, it raises others, but most importantly it will act as a catalyst for further discussion and debate. 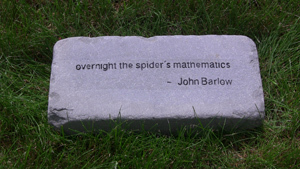 It’s uncertain where poets will take ELH in the next hundred years. 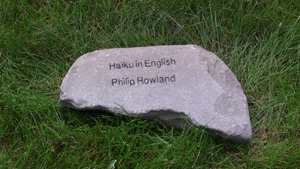 What is certain is that Haiku in English will inform the course of ELH for years to come. In a world that is becoming more and more whitewashed it’s a pleasure to read this collection, full of surprises, calling attention to not just the landscape but the characters who people it. This year’s Touchstone nominations included a number of fine personal collections, along with the awarded anthologies and longer works of haiku discourse. Christopher Patchel’s Turn Turn is one that rose to the top of our awards list. With the eye of a perfectionist and careful attention to detail, Patchel explores the theme of time marked not only by clock and calendar, but also through personal experiences measured by the heart. The quality on the outside and inside of this collection deserves commendation, with an attractive cover design by Patchel followed by four well-developed sections of 115 haiku and senryu, a pair of haibun, and two sequences. Using just-the-right words and careful precision Patchel conveys single moments of perception with an acute sense of honesty and connection to the essence of things as they are. a hot shower . . .
Pfleuger is working on and around the edges of what haiku can be, resulting in haiku that are challenging yet engaging. The reader is expected to be a co-creator, and will be rewarded for his patience. 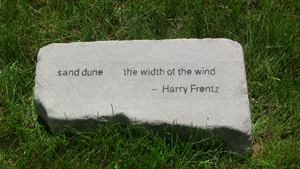 For anyone interested in new directions for haiku.